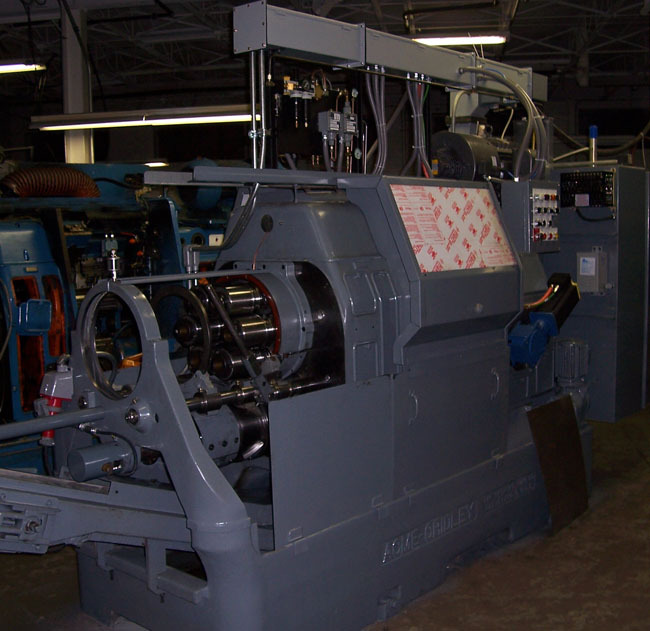 Convert Your Old Fashioned National Acme Multispindle Screw Machine Into A State Of The Art, Programmable Work Horse! Far less maintenance and downtime due to fewer moving parts = increased productivity. No more high speed clutch, low speed clutch, roll clutch, and brake to maintain and adjust. 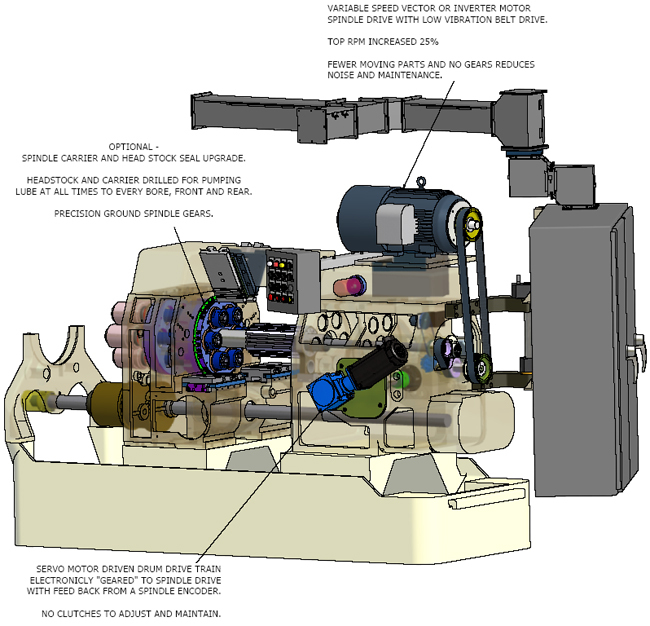 Many less gears and moving parts results in a more quiet machine. NO HAND CRANK! 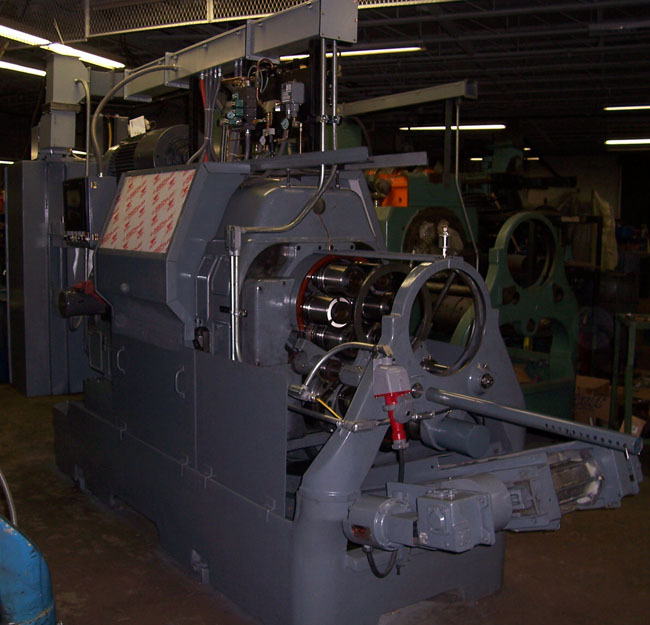 Power crank or “Jogging” is available, 3 speeds, forward and reverse from both sides of the machine. Power Crank can be used with or without spindles running. No more speed and feed gear changes. Exact feed and speed settings. No more compromising between available gear ratios. Reduced cam changes can be achieved through reprogramming low point. Shorter cycle times can usually be achieved thru ease of speed and feed fine tuning resulting in 10% to 40% improvement. Tool change control counter system. Eliminates tool damage due to faulty brake or worn high speed clutch. Touch screen control station for “On The Fly” changes. Touch screen control can be configured for special attachments, Bar loading system interface, and Automatic loaders on chuckers. Automatic “New Bar Trim” feature available to prevent tool breakage when using an auto bar loader. The touch screen intuitive control scheme conveniently displays and monitors an array of options from production processes such as tool monitor, production speed and feeds, system maintenance, feed time and much more. 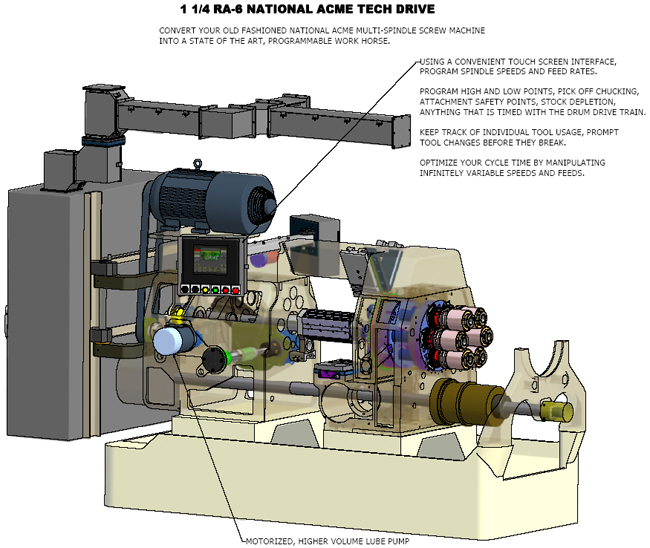 Featured throughout the next few pages is an 1-1/4" RA-6 Acme Gridley converted to TechDrive. Simply click the forward and back arrows at the bottom of each page to be guided through our entire TechDrive conversion overview.